Yesterday I wrote about some bullying that happened in Youth this week. I don’t know the real answer on how to deal with that but if you have a suggestion then please head over and let me know. I briefly hinted at my past problem with bullies. Back in school I tended to attract them. There were several features that caused me to get more than my share of bullying. There were certainly other reasons but these were the main ones. The biggest was probably my sense of injustice. It wasn’t just about injustice against me. Most people are very attuned to things that are done against them, but I also see what is done to others and feel compelled to act. If I saw someone else getting bullied I’d jump right in to defend the other person even if I didn’t know them and the odds were obviously stacked against me. I didn’t see the bullies as people that needed help. They were the bad guys and I was the good guy. I had a very strong “bad guy/good guy” view of the world back then. I still do but it is tempered with love and grace. Now I don’t think they were bad. I actually think they were hurting and alone. I want to share a story about one of the kids. Being raised in the Air Force I moved a lot, but we got stationed in Oklahoma from 3rd grade through 6th grade and then I was back in the same school system from 9th through graduation. The first time we were there I moved from one school in 3rd and 4th grade to a new school for 5th and 6th grade because of redistricting. Shortly into the year I saw a kid getting picked on in the cafeteria and I used sarcasm and insults to defend him. I became the target after that. It was a typical grade school bully gang with one very large kid and 3 or 4 lackeys. They would find me alone regularly and push me around. I only got into a couple of straight up fights but I never backed down. In 6th grade I had 2 of them in my class. The leader and his best friend. They really stepped things u, but I felt like the hero through it all because I was keeping them from messing with other, weaker kids. I have a scar on my knee from getting pushed down over the back of the smaller of the two. The scar is on my knee because as I fell I spun and landed on my hands and knees. From this position I kicked kneeling kid hard in his side. They didn’t try that again. At the end of the year we got our yearbooks and we had a signing party. I wouldn’t let either of them sign my year book even though the smaller one offered. They were the bad guys and the good guy can’t let the bad guy sign his year book. In fact I still have that year book and I was looking at it a couple of years ago. I had scribbled out their faces and wrote “bad” and “mean” by their names. When we came back I started in 9th grade in the same school system, but neither of them were in my school. 9th grade was in junior high so for 10th grade I went to high school. I ended up meeting several people I knew which was really cool for an Air Force Brat. I had friends with history for the first time ever. I also made new friends. One of my new friends was friends with the smaller of the bully duo. Now here is the crazy part. I became friends with him. It turns out he wasn’t the bad guy. He was a real person, not a stereotype or caricature. My black and white view of the world began to break. This fracture led to my world being completely shattered years later when my wife was having an emergency tubalectomy as I sat alone in the waiting room. God was supposed to help the hero but I was alone. When everything settled out I had a new view of the world. I saw people as being made in the image of God, but needing Him to complete them. I saw the broken and hurting in everyone, even those that I might have once called the bad guys. My heart had been broken for the lost. Now I still have my sense of injustice, but the greatest injustice I see, the thing that makes me angry and compels me to stand up to make things right, is the complacency in those who have the Truth. The “Christians” that are ok with people dying and going to hell. We need to have our hearts broken for the lost. 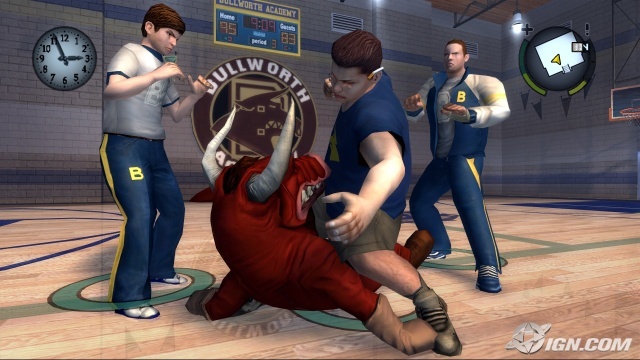 How nice that you got to see the other side of bully jr. I’m guessing that most people never get to see the other side of a bully. And the bad feelings get carried into adulthood. Not that I would know anything about that. Really. Hmmm, what aren’t you telling us? Why don’t we have broken hearts for the lost? I’m morbid I suppose. I read obits all the time and wonder, “did that person know Jesus? Oh, I hope they did!”. But do I live day to day with the brokeness about the lost? No. If I did, I’d be more productive to the Kingdom. But I do ask God each day to break my heart enough that I’ll react. So far, He’s taking me up on that. What stuns me is that the church and para-church organizations that don’t seem to have the attitude of heartbreak towards the lost. It’s frustrating to see churches around me so bent on gimmicks to up their numbers that ministry and discipleship seems non-existent. But I guess that’s another rant for another day. I liked this post. I’m glad you stand up for injustice, but I’m really glad God has created you to love people despite their flaws. I don’t read obits, but it hits me when I see an accident, or watch/hear an ambulance speed by. Was that someone dying and going to hell? Did I fail? Did someone else? Churches are focused on numbers, and mostly easy numbers which is church cannibalism most of the time. That is one of the big reasons the Church in America is failing. “We need to have our hearts broken for the lost.” – you are soooo right. But it sound like you started to get that concept in 10th grade – I didn’t get that till I was well into my 20s, and it seems like every week I get another “opportunity” to see that a little more (love all those “opportunities God gives me). Grace, second, third and forth chances… that is hard stuff. I don’t know that I started to get it back then, but the first of many fractures in my invalid world view began forming. Someday I think some of the pieces still remain, but mostly it busted when my life fell apart and God rebuilt it. We need to get to a point where we know we can’t survive without God. It is true for all of us but we need to KNOW it. Amen. I want and need more of this brokenness. True dat, we all do. That line jumped out at me like crazy just now. I love the word “caricature.” I think the word “stereotype” has a bad… stereotype, and it’s overused. Caricature really nails what the issue is. We see and focus on only one part of a person and as a result blow it out of proportion. That’s exactly what I think of when I think of a caricature. I think of a guy with a huge noise. Or a lady with weird lips and hips. Great job painting a picture for me with just that one word. It totally fits the post. We have to see past the exaggerations and realize that real people – people with feelings like us – are behind all the caricatures we create. Thanks, I really hung up on that when I typed stereotype. It didn’t feel right so I stopped to think. I rarely stop when I’m typing, very stream on consciousness and then I might edit, but not a lot. I’m glad I stopped if it got the right image out there. That was a really good post. It’s hard to bring up those parts of life where God isn’t what he should be by our standards. We do need to have our hearts broken for the lost. I don’t normally do this, but here’s a link to a story from a missionary with the organization I work for… it blew me away last Friday, and it fits with your message. Urgency. Hopefully that makes it through your spam filter… Oh well. Great post either way. yeah no problems with the spam filter, I don’t have very strict settings on it. It’s funny how we see things and feel like we are always right and then later we see things and realize just how wrong we were.